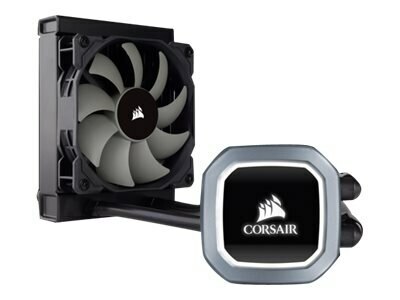 The Corsair Hydro Series H60 is a fantastic choice for cooling. With a micro-channel cold plate and a split-flow designed manifold, the H60 brings remarkable technologies to an affordable price point. If that weren't enough, the H60 also features a fan custom-designed to offer enhanced static pressure, which means better cooling.